The LINE instant messaging service has just updated its Android app with a new feature to make VoIP calls to both landlines and mobiles from the app itself at quite cheap rates. 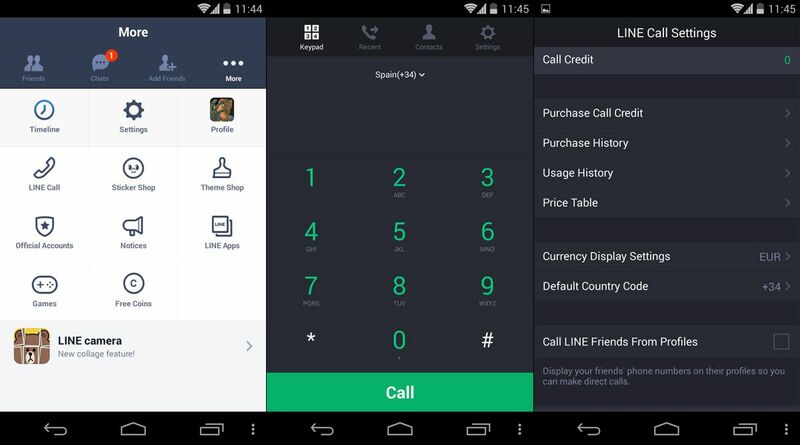 This feature has been launched in the US, Japan, China, Thailand, Spain, Mexico, Colombia, Peru, and the Philippines; in these countries and in others not affected by update, the option for LINE users to make free calls between themselves still remains. Their official webpage presents three available options to enroll in a price plan: by buying call credits to be used based on the different rates applicable to each country, through a monthly subscription plan that makes the price per minute even cheaper, or using LINE coins that have until now been used to buy stickers and extra features, which now convert at a rate of one LINE coin to two call credits. Next articleGoogle Play Games now also available on iOS. Next: A unified social gaming platform?